Simplicity and unequivocal style meet with this artistically crafted, urban industrial occasional table group. These pieces do away with unnecessary complex features as the replicated concrete tops provide ample display space. The black matte metal legs connected by the cross section base add to the decorative nature that helps bring a sophisticated charisma to a room. 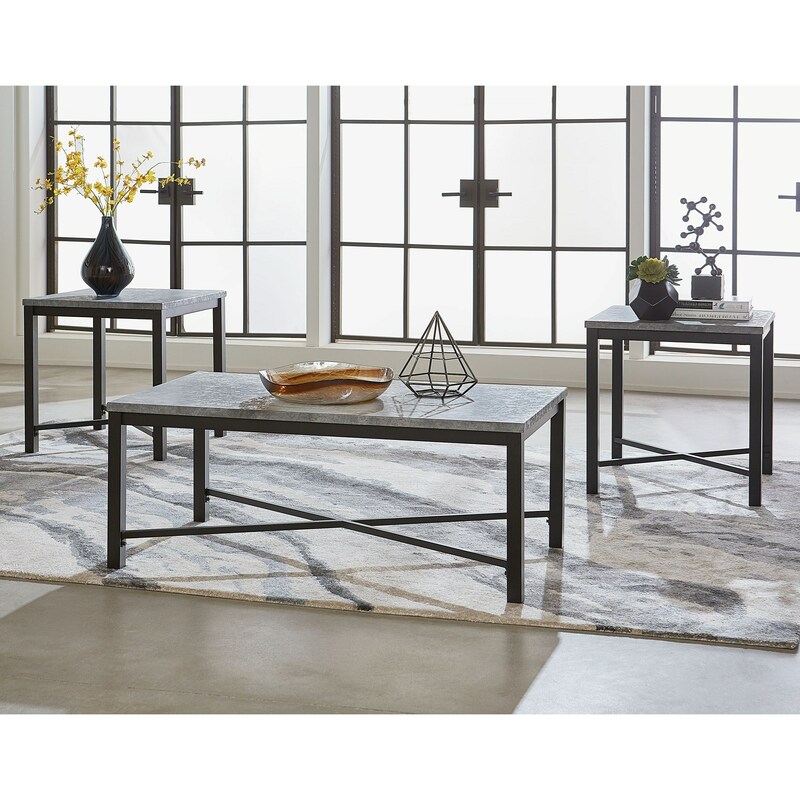 The Lacrosse Urban Industrial Occasional Table Group with Replicated Concrete Top by VFM Signature at Virginia Furniture Market in the Rocky Mount, Roanoke, Lynchburg, Christiansburg, Blacksburg, Virginia area. Product availability may vary. Contact us for the most current availability on this product.